The doors we uses to move in and out with tractors. First day of snowboarding and it was successful!! 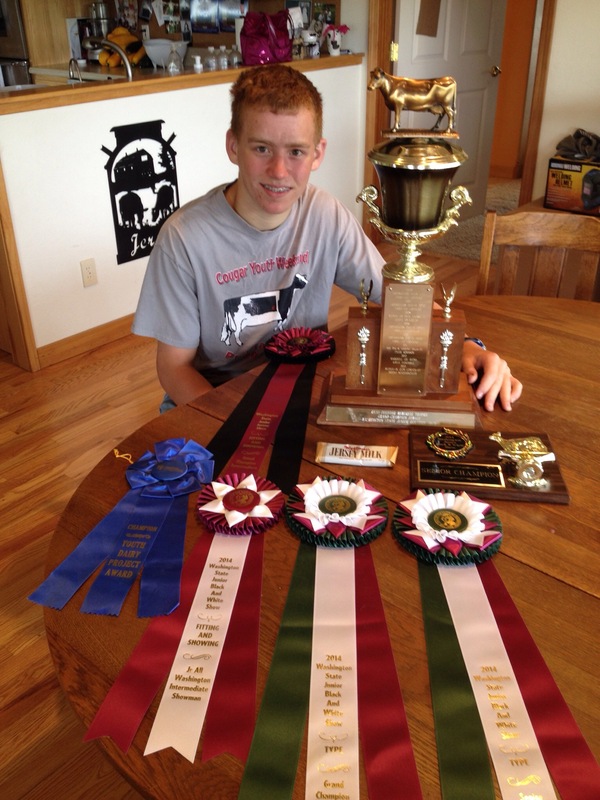 Too many great accomplishments to list with Zach’s favorite show cow!! Looking forward to a new year with so many possibilities!! We have many goals and stay tuned to see what the goals are for our farm and family for 2015!! In the mean time, I will enjoy the rest of the Ryan Seacrest New Year’s Eve Rockin’ Party. The ONLY time I will enjoy Ryan Seacrest……..